A nylon body lamp. Lamps are available in either single contact or double contact. 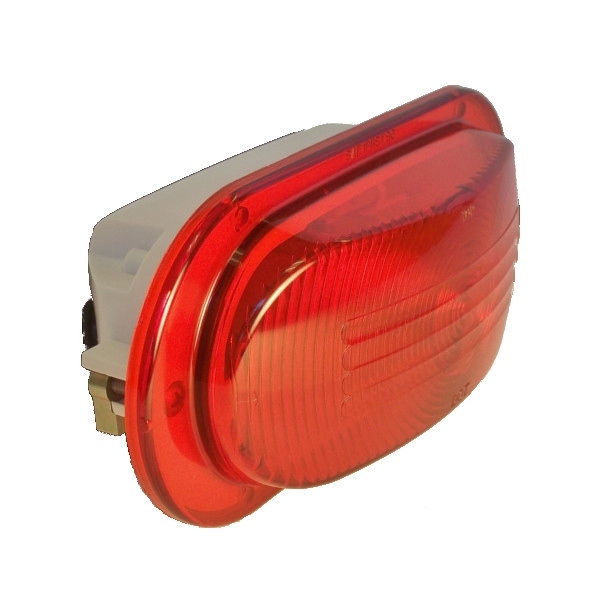 Double contact incandescent lamps use a 920459 socket with an 1157 bulb and a 920454 red lens for stop, turn, tail or a 920464 amber lens for side turn, marker. 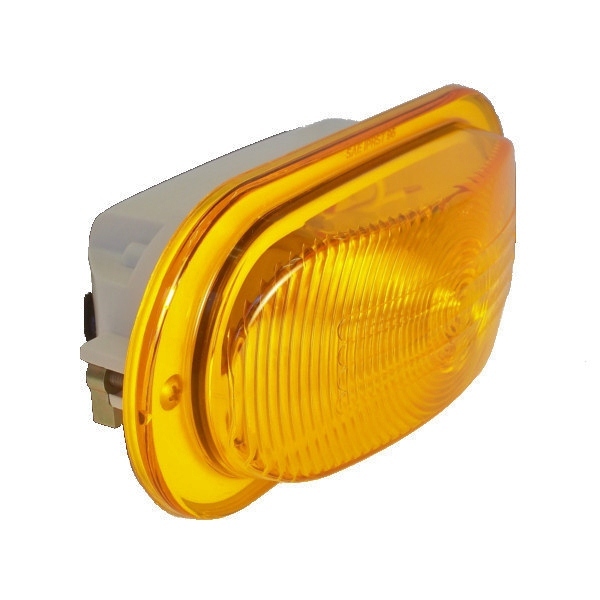 Single contact incandescent lamps use a 920460 socket with an 1156 bulb and a 920454 red lens for stop or turn, or a 920464 amber lens for turn only. 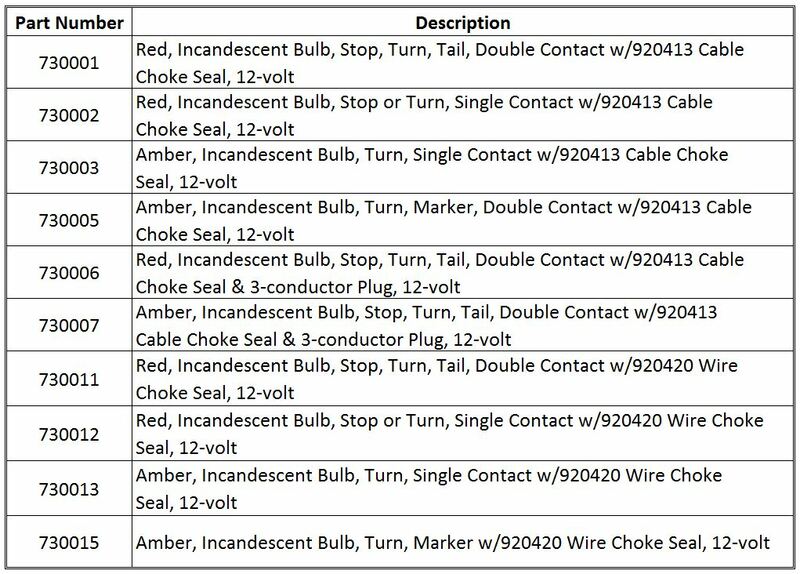 Lamps are available with either a 920413 cable choke seal or a 920420 choke seal for wires.